War and Drugs explores the relationship between military incursions and substance use and abuse throughout history. For centuries, drugs have been used to weaken enemies, stimulate troops to fight, and quell post-war trauma. They have also served as a source of funding for clandestine military and paramilitary activity. In addition to offering detailed geopolitical perspectives, this book explores the intergenerational trauma that follows military conflict and the rising tide of substance abuse among veterans, especially from the Vietnam and Iraq-Afghan eras. Addiction specialist Bergen-Cico raises important questions about the past and challenges us to consider new approaches in the future to this longest of US wars. 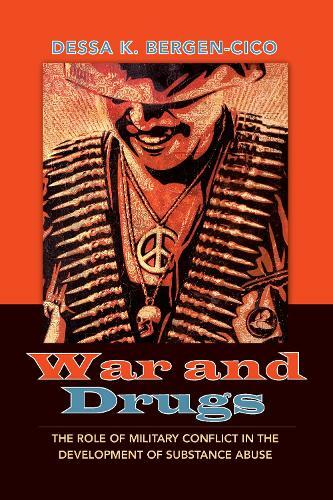 "War and Drugs weaves a meticulously referenced expose that implicitly links most major armed conflicts and political unrests with drug abuse and addiction...The information presented in War and Drugs is...powerful, gutsy, and disturbing." "War and Drugs views the drugs, war, and soldiering nexus through a diverse set of lenses. At a time when the war on drugs is reaching a terrible nadir, it provides a timely contribution to the drug war discourse."